From safes to spice racks, sewing kits to snake gags, book-shaped objects are everywhere. Why are they so appealing? Mindell Dubansky suggests that for hundreds of years, makers and manufacturers of 'blooks" - objects that look like books but aren't - have infused everyday objects with bookish qualities in order to capitalize on the emotional connections we have with our favorite books or with the experience of reading. We highly recommend this book by our good friend MIndy, who is also the head of book conservation at the Thomas J Watson Library, the main research library of the Metropolitan Museum of Art in New York City. Paperback with flaps; 96 pages; Over 200 full color illustrations. 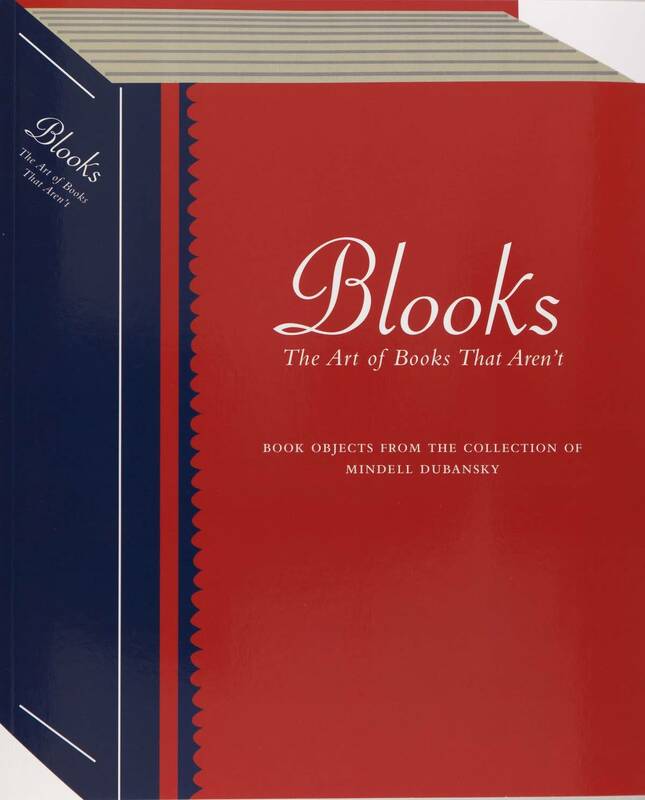 This book is devoted to the subject of BLOOKS, objects made in the emulation of books, either by hand or commercial manufacture. All over the world, for hundreds of years, people have been making, collecting and presenting book-objects that reflect their devotion and respect for books and for each other. There are countless examples; they include bars, cameras, radios, banks, toys, memorials, food tins, desk accessories, book safes, musical instruments, magic tricks, furniture and jewelry.